Year 2014 was a year of having all sorts of funky hair colours ♥ In that process of achieving sharp colours, my hair was really damaged and dry due to multiple times of bleaching. 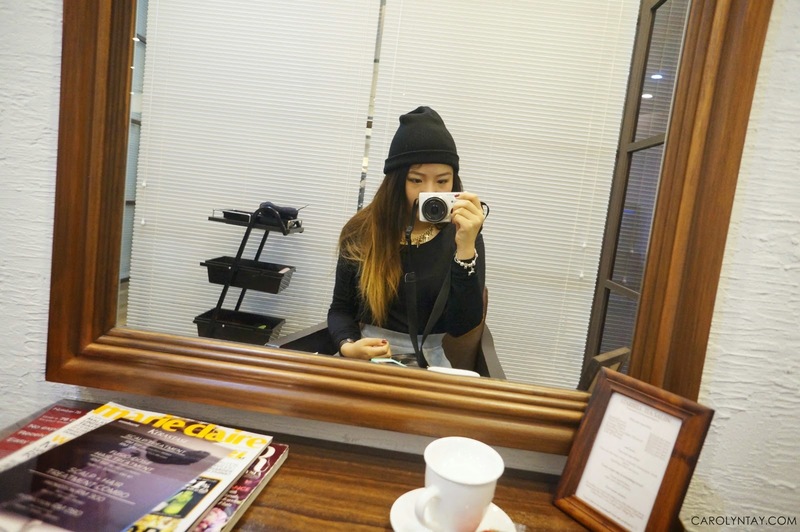 I'm aiming for a more healthy hair look for year 2015 so I made a visit to Number 76 Salon to try out their signature UltraSonic Hair Treatment. I made a booking with the Starhill Gallery branch with Karena so we can enjoy a hair pampering day together. You can also make you booking online through www.number76.com and check out their price list, stylist profiles and latest promotions. This is my first time visiting Number 76 Salon and they gave me and Karena a special room for more privacy. We were also greeted with greetings in Japanese and they were super polite! Upon seated, I was served with a cup of hot tea and biscuit to enjoy. They are provided services for takeaways and you can order from Starhill Tea Salon to enjoy while pampering your hair in the salon! I have a lot of split ends and I have tangled hair. Can you spot the broken hair and friziness? I was passed on to assistant - Deven who will do the cleansing and treatment for my hair. Deven inspected my hair and used a scalp shampoo to cleanse my oily scalp, he even gave me an awesome head massage! Every customer will be provided with a soft fuzzy blanket and eye mask to cover their eyes during the hair wash. I must say their services are really impeccable and it's all the little things they do that makes me feel comfortable and enjoyable for this whole process. Before we start the treatment, Deven introduced me to the famous UltraSonic Iron and gave me a test run of how it works. 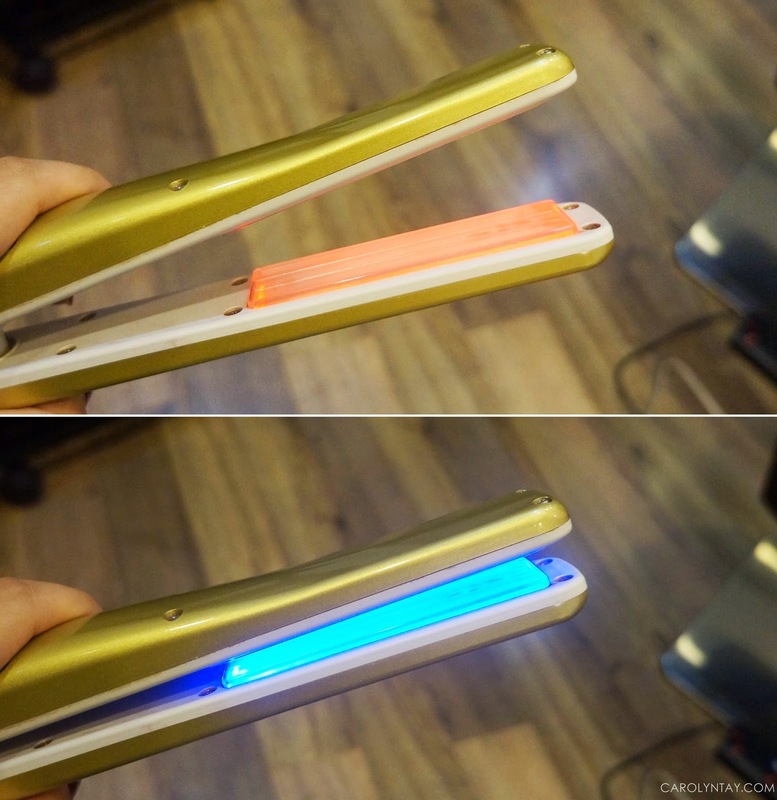 I was really shocked to find out that the iron is not hot at all(yes, I touched it), contrary to my beliefs, I always thought it was burning hot like other flat irons. The UltraSonic Iron an enhanced effect on all chemicals such as hair color, perm lotion and hair treatment that are applied to your hair. It vibrates at 37,000 beats per second, separates particle of protein, water and oil in hair treatment as well as help it to penetrate deeper inside your hair. It also does not make your hair flat! Deven and Xuan applied the treatment lotion on my hair and iron my hair using the UltraSonic Iron. For the UltraSonic Premium Iron Hair Treament, this process is repeated twice compared to the normal UltraSonic hair Treament, the only go through once. During the ironing process, I can hear mild vibrating sounds. This is normal, no worries! In Number 76 Salon, they will blow your hair with the Panasonic Nanocare hair dryer with cold wind so that your hair is less damaged! I also love that they uses Tangle Teezer because it is less harmful to the hair scalp for those people like me who have unmanageable hair. Senior Stylist - Jeddy came to inspect my hair and blow dry my hair for me, he was really friendly and chat with me during the whole process. It took so long because I have long and thick hair, my hair requires a lot of patience and time. After the hair treatment, Deven applied Shiseido Hair Scalp Essence to my roots and gave me a head massage again. He then applied the DEESSE`S Elujuda Fluent Oil to the ends of my hair. 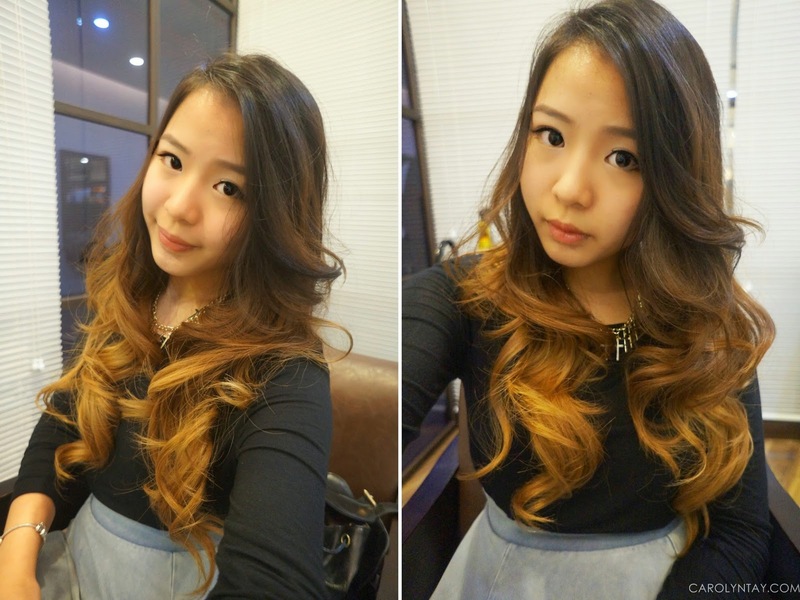 Just simple blow dry and comb through with hands, it's obvious it has improved right? 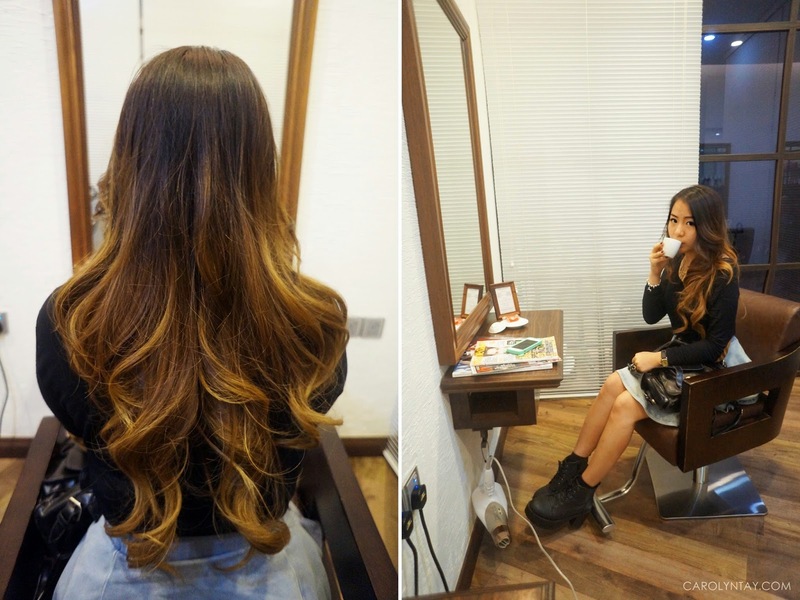 I am amazed at the result of my hair after the UltraSonic Premium treatment! My hair was really dry and damanged but it feels extra soft and smooth now! I can easily run through my hair even it is wet. This treatment will lasts for months depending on how you take care of your own hair. 4 x DEESSE`S Hair Treatment for 4 weeks to maintain healthy and silky hair! Don't you think my hairdo is so pretty? I really love that my hair is so bouncy and soft now! 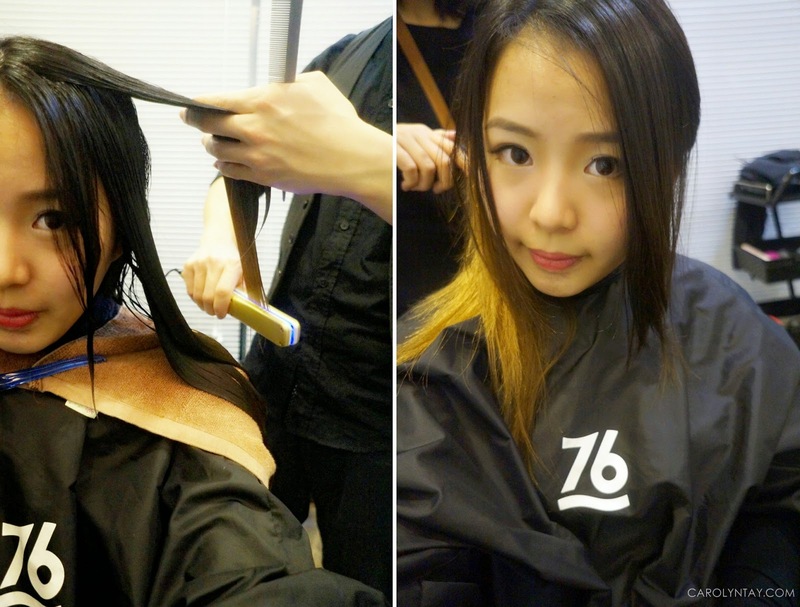 In my honest opinion, I really think it is worth to pamper your hair in Number 76 Salon. I really appreciate the amazing services provided, friendly hair stylists and awesome skills they have there! I can say that Number 76 is the best hair salon I've been to till date. It is definitely worth the hype! * Number 76 also have branches in Bangsar, Midvalley and Tokyo!